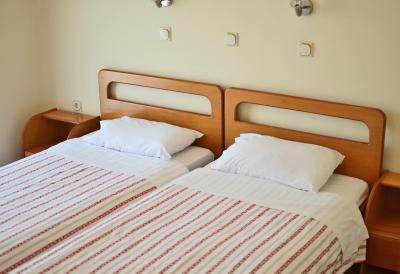 Lock in a great price for Filareti Hotel – rated 8.9 by recent guests! The staff was extremely helpful, even providing us with a map of the city. 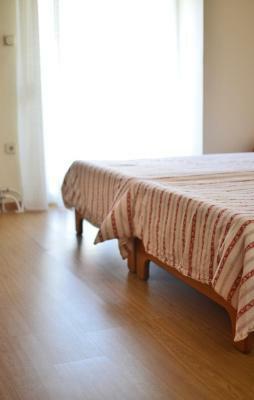 The room was minimal but clean and exceeded my expectations. The location was great. 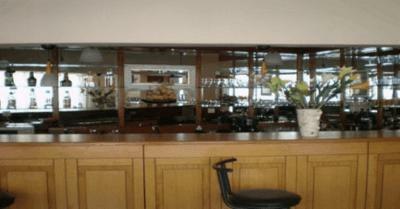 Place has very nice atmosphere, friendly staff, close to the center. The hotel was very clean and the staff was delightful. The hotel is not as central as some, but in such a small town it really didn't matter. Our room had a view over the hills and it was quiet. The room was clean and spacious. Bathroom was spacious too (not very common). Friendly staff. 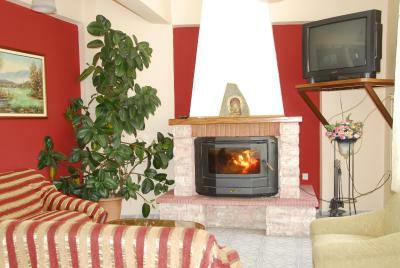 The location is great, walking distance from city center and the river. Parking was easy. Very good value for money. 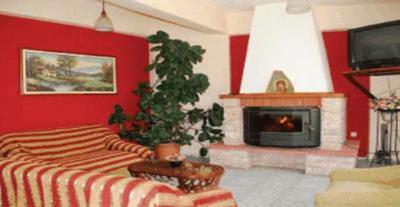 Nice big room with access to outside sitting area. Staff very helpful. Value for money. Clean and quite. Good location to park your car and walk in the city center. Φιλόξενοι άνθρωποι , ευγενικοί ! Ζεστό δωμάτιο και άνετο κρεβάτι. Filareti Hotel This rating is a reflection of how the property compares to the industry standard when it comes to price, facilities and services available. It's based on a self-evaluation by the property. Use this rating to help choose your stay! 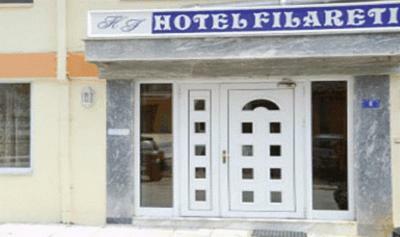 Hotel Filareti is located in the center of Florina. 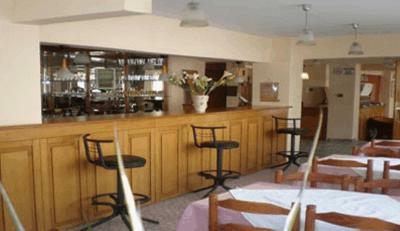 It offers comfortable rooms with easy access to nearby attractions and a lobby with bar. 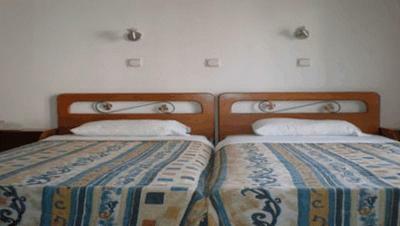 Filareti disposes comfortable rooms for two or three people with facilities including TV, air conditioning and heating. Free WiFi is provided. 24-hour front desk services are provided. 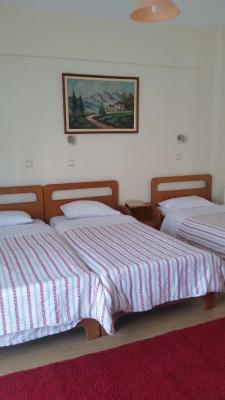 The hotel’s location serves as a convenient base from which to visit Prespes, Nymfaio, the ski center of Vigla and many archaeological sites. 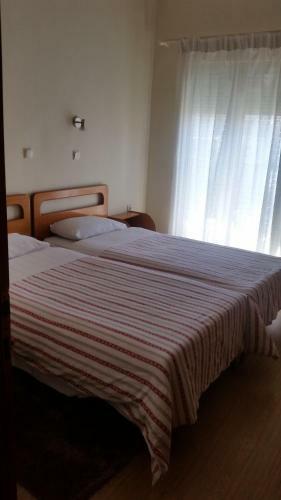 This property is also rated for the best value in Florina! Guests are getting more for their money when compared to other properties in this city. 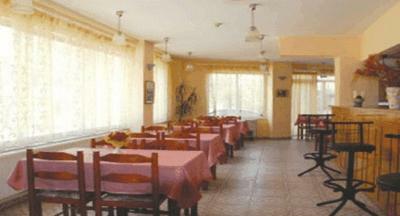 When would you like to stay at Filareti Hotel? 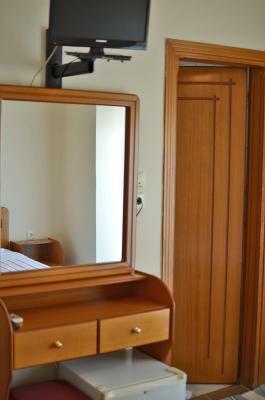 Simply furnished room offering a TV, air conditioning and heating. Includes a fridge and telephone. 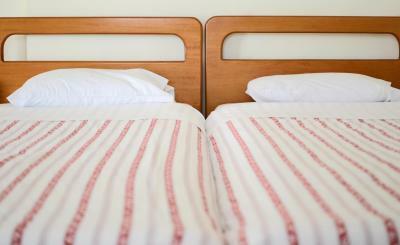 House Rules Filareti Hotel takes special requests – add in the next step! Filareti Hotel accepts these cards and reserves the right to temporarily hold an amount prior to arrival. The room was a bit cold. Hotel should have better signes. Without google maps it would be hard to find it. 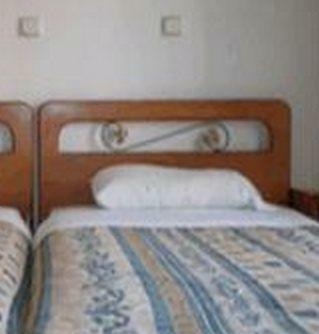 The beds were a little hard but this might be preferable for some people. The shower wasn't great but it was adequate. Very helpful,friendly and generous staff!